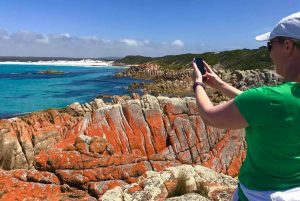 So you’re heading over to Tassie to experience one of Life’s An adventure’s great pack-free walking tours. Well before you go there are a few things you should know about the Apple Isle. Like how did it get that nickname? 1. There are two theories on why it’s called the Apple Isle. The first one is its former status as an important apple exporter, however some say it’s because the island’s shaped like an apple. 2. Tasmania isn’t as small as you think in fact it’s about the same size as the Republic of Ireland or Sri Lanka. 3. Speaking on size, Tassie’s coastline measures about 4500km – that’s longer than the combined coastlines of NSW and Victoria. 5. Almost half of the state is World Heritage Area, national park, or marine and forest reserves. 6. Tasmania is the world’s 26th largest island. 7. Tasmania has 69 golf courses – more per capita than any other state in Australia. It also has the oldest golf course in the Southern Hemisphere. 8. Tasmanians travel the shortest distances of any Australian workers between their homes and their jobs. 9. After Adelaide, Hobart is Australia’s second driest capital city. 11. All that’s left of this land bridge is the Furneaux Group of islands of which Flinders Island is the largest. 12. Tassie has water so pure it produces the only bottled rainwater approved by health departments around the world. 13. Supposing Holland is the home of tulips however it actually imports tulips from Tasmania. 14. 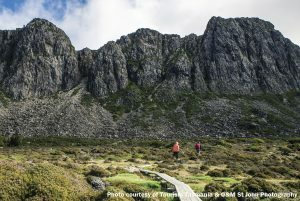 Tasmania has over 2000km of walking tracks. 15. When it comes to rude, baffling and hilarious place names, Tasmania has it all. There’s Eggs and Bacon Bay, Trousers Point, Penguin, Milkshake Hills, Stinkhole, Granny’s Gut, Awesome Wells, Satan’s Lair and errm, Lovely Bottom..